Leaving the summer behind and when temperatures are softening fall approaches and with it one of the best times of year to embark on the Camino de Santiago. The advantages? Say goodbye to the long days of Camino under the scorching sun, but without having to endure low temperatures, to which must be added a minor influx of pilgrims, who as you know in July and August cram the French Way. To choose when to make the Camino is privileged, so if you're not one of the hundreds of thousands who have to settle for doing so in summer, when we have more time freely attracts much insurance you do in autumn. 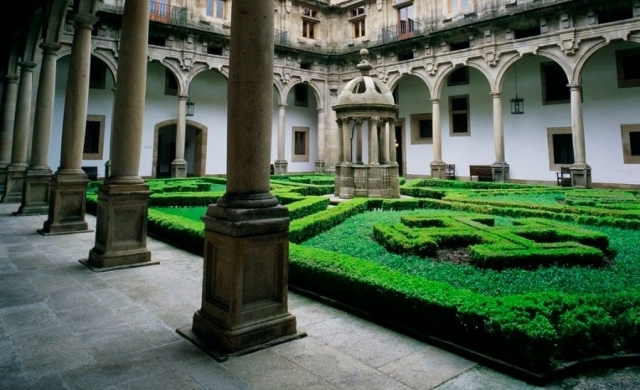 To take advantage of these pleasant autumn months, the network of Paradores has proposed promoting their restaurants and accommodations related with the Camino de Santiago offering the Tarifa Peregrino 2016 in thirty of their establishments in the north of the Spain and whose list you have below. Pilgrims can benefit a menu at a special price (from 15 to 18 euros) showing their Pilgrim Official Credential or Compostela, and have access to a discount in case they want to treat themselves and stay in one of the paradores. If you plan to make the Camino in autumn and you dare to eat at one of the 30 Paradores of the promotion, we expect you to tell us how was everything.